Fleming H. Revell Company, 9780800721640, 368pp. After three years on a whaling voyage, Henry Macy returns to Nantucket to news that his grandmother has passed, bequeathing her vast fortune to him and his sister, Hitty. And it was truly vast. But Lillian Coffin was no fool. The inheritance comes with a steep cost, including when they should marry and whom--a Quaker in good standing, of course. But if they relinquish the inheritance, it all goes to Tristram Macy, their father's thieving business partner. 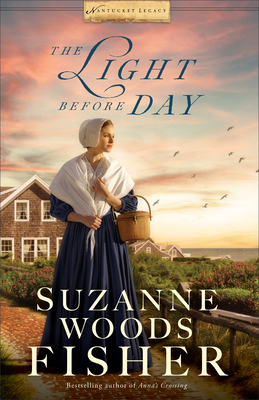 Suzanne Woods Fisher is an award-winning, bestselling author of more than two dozen novels, including Phoebe's Light, Minding the Light, the Amish Beginnings series, The Bishop's Family series, and The Inn at Eagle Hill series, as well as nonfiction books about the Amish, including Amish Peace and The Heart of the Amish. She lives in California. Learn more at www.suzannewoodsfisher.com and follow Suzanne on Twitter @suzannewfisher and Facebook @SuzanneWoodsFisherAuthor.